The Ageing and Dementia Research Centre (ADRC) team had a fantastic session ‘Growing Up and Getting Old’ at the Festival of Learning last week. 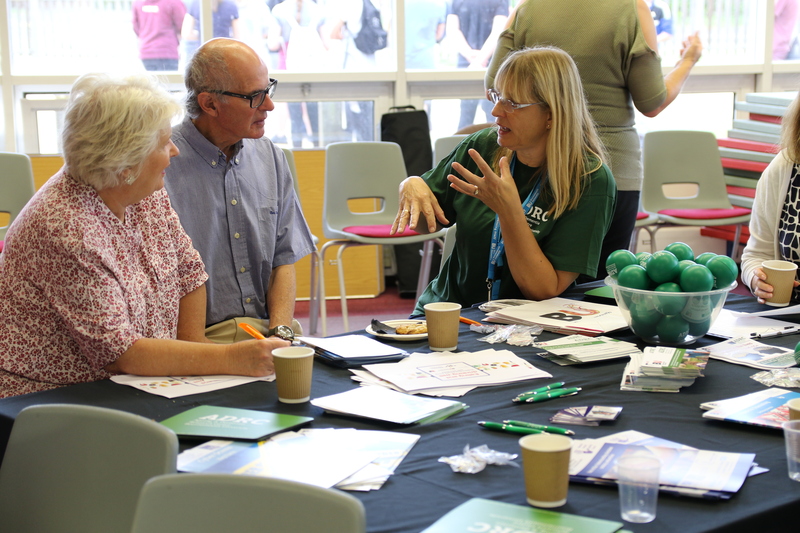 Attended by people with dementia, carers as well as councillor Jane Newell, and Dorset CCG, it was highly interactive and engaging for everyone. For starters, Professors Jan Wiener and Jane Murphy, Dr Ben Hicks gave a brief overview of the ADRC covering the three broad areas of research 1, Ageing and dementia Friendly environments, 2. Nutrition and wellbeing, 3. Activity and social inclusion. Main course was a taster to experience some of the team’s ongoing and new research across these areas. The morning was finished off by an introduction to Tai Chi given by Dr Samuel Nyman and an opportunity to have a go with Robert Joyce who is a Tai Chi Instructor working with Samuel in his project. Overall it was a hive of activity with a real buzz in the room. Feedback has been really positive “Really enjoyed meeting everyone and taking part!” “I really enjoyed the event and am looking forward to participating in your research” . Several people mentioned really being keen to help us with the ARDC current and planned research.